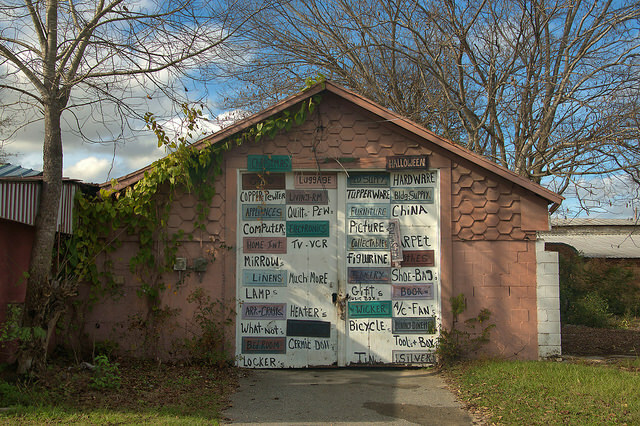 This is part of a complex of several small buildings that are all attached to one another, painted in different bright colors. I’m not sure if it’s part of a thrift-type store or someone’s personal property. 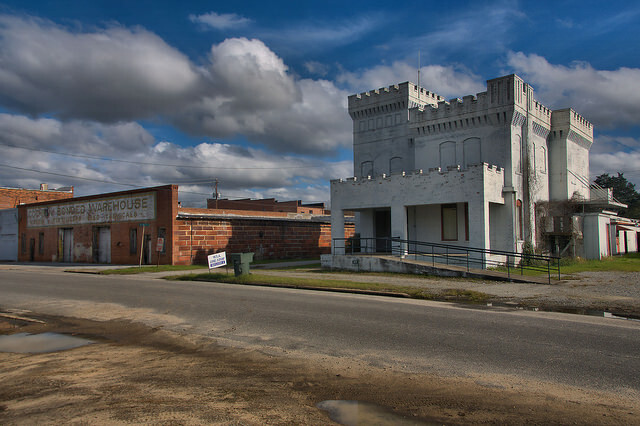 The Bonded Warehouse (l) and the old Bleckley County Jail (r) are two of my favorite landmarks in Cochran. 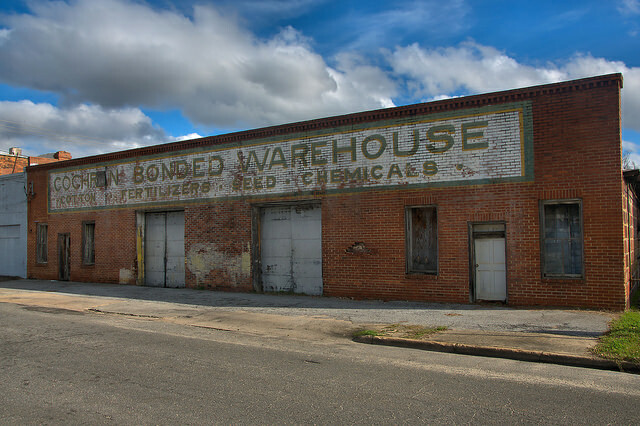 Every town of a good size once boasted a bonded cotton warehouse or two. Most sold fertilizers, seeds, and chemicals to area farmers and came to prominence with the rise of industrial agriculture. This one is especially nice because its old sign is still intact. I believe it’s still in business. I haven’t been able to locate a history of this structure yet, but it was likely built around 1900-1915. Citadel-style jails like this were popular at that time. I know it was in use as the county building inspector’s office as late as 2008. John Joseph Taylor (1855-1917) was for many years the leading businessman in Cochran. 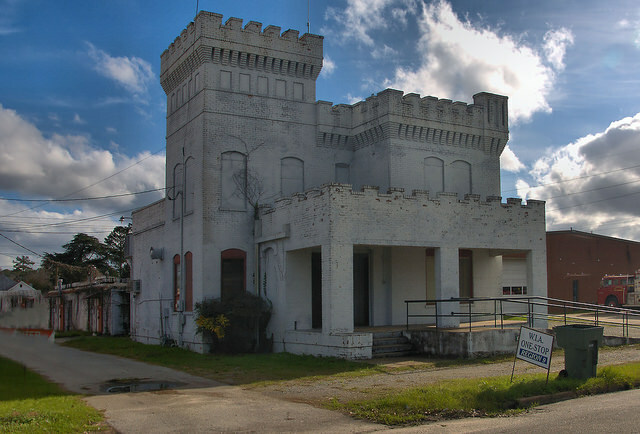 He started with a general store and later became president of the Cochran Banking Company and a cotton mill; he also built Cochran’s opera house. 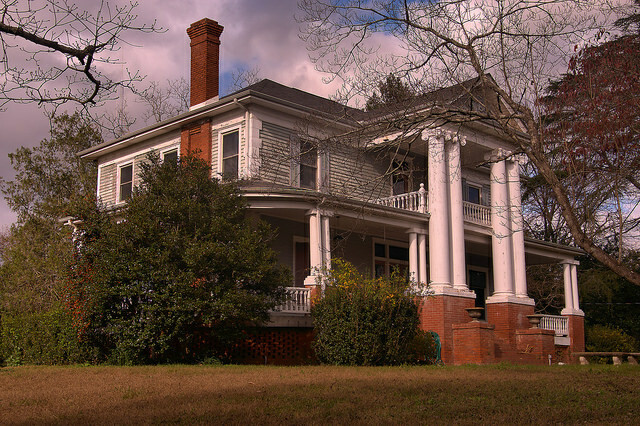 Taylor, who lived in the house next door, built Hillcrest as a present for his daughter Alice when she married John Augustus Walker on 12 January 1910. Walker was also involved in the Cochran Banking Company and served as Postmaster from 1933-1941. 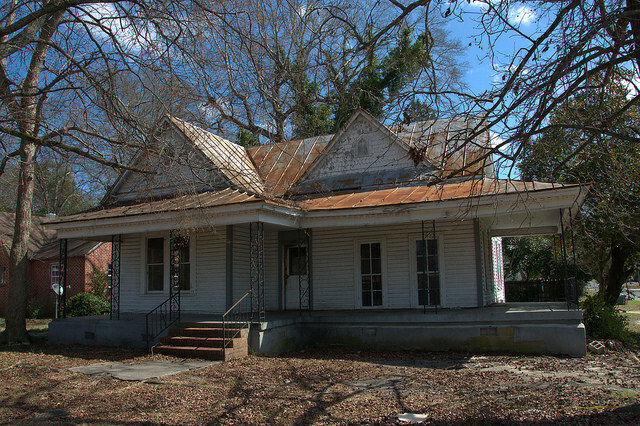 The house remained in the family until 1965. 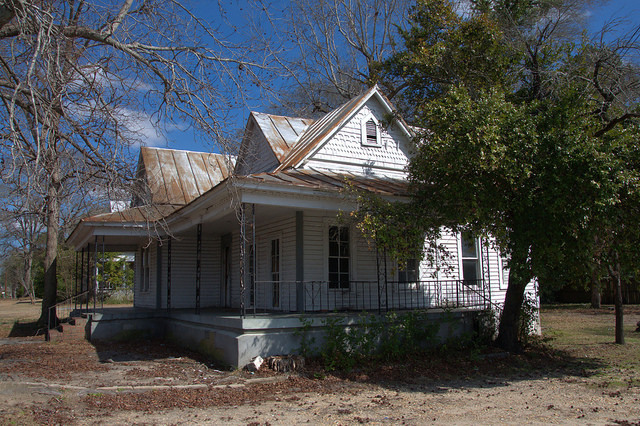 Dr. Virlon Griner, pastor of Cochran First Baptist Church, purchased it in 1970 and began a restoration that returned it to a single family dwelling, which it remains today. 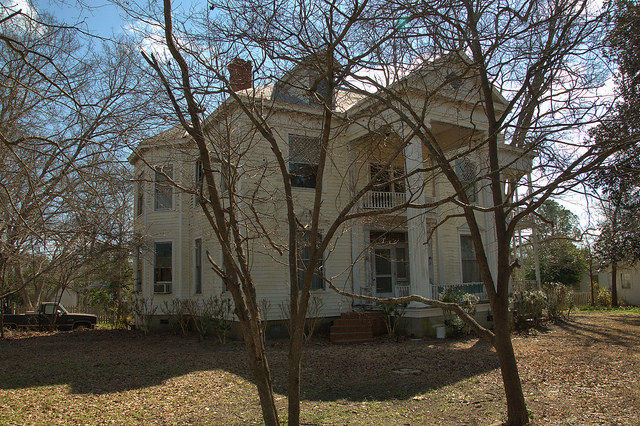 The National Register nomination form calls the house “Hillcrest” but also notes it was known as Cedar Hall. After hearing from one of the Taylor granddaughters, Lady N. Hodges, I’m going with Cedar Hall, since that is what the house was known as for most of its history. Apparently, “Hillcrest” was a later name. She also clarifies other facts about the house, in her comments following the post. Like many of the Folk Victorians in the area, this features shingled dormers.